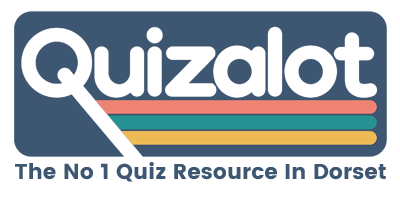 Quizalot was founded in 1996 by David Morton. 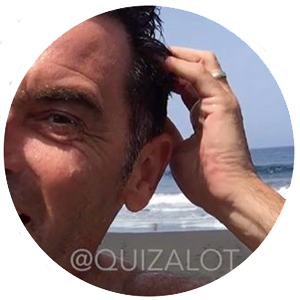 Since then he has written 2,428 quizzes and hosted 2,539 quiz nights in the UK, Germany, and The Canary Islands. David’s enthusiasm for quizzes beats his wanderlust by a small margin. David has been an entertainer and writer for 43 years and proudly boasts a West End appearance and a L.A.M.D.A. (London Academy of Music and Dramatic Arts) Gold medal. He has written all but the first 40 of the quizzes he has presented. His style as a quizmaster has been variously described. We will stick with “A Legend” here as someone really did say that once. He possesses a natural talent for spotting a double-entendre and is effortlessly funny and self-effacing. “Slightly more camp than Dale Winton”, David doesn’t take anything, anyone, and particularly himself too seriously. How long have you been hosting ? D’uh since 1996. I may have mentioned this already. All time favourite team name ? Team names to avoid ? Your mastermind 3 chosen specialist subjects ? Favourite quiz on TV ? Ultimate quiz team of 4 (Dead or Alive), who would your 3 team mates be ? Christopher Hitchens, Queen Elizabeth I, Douglas Adams – That covers the Universe and everything. David’s skills as a quizmaster have been appreciated by quizgoers in many locations for quite a while. David remains surprised and thrilled at the opportunity to earn a living this way.